You read that right. This incredibly trendy ingredient has been on the hot list of foodies in America since 2008. Chefs swear by it. Some may even worship it. It is not something you can pick up at your typical grocery store but WE HAVE IT. Why is Black Garlic so special? You’re probably looking at these pictures, questioning the validation of our claim, but you’ll just have to trust us! It is a flavor bomb! It does have a unique scent that could put someone off at first, but look beyond this factor! It is also chock full of antioxidants and cancer-fighting compounds, double the amount normal garlic has. What is Black Garlic and why is Black Garlic black? Black Garlic originated from Asia, til this day it is a staple in Asian cuisine and very popular in Korea. Black Garlic is garlic that has gone through a tender aging process with the lowest of heat to caramelize the cloves. Within this process, the meat of the garlic softens and becomes black. The sugars stir within the little bundles making them sweet. It does have longevity, Black Garlic keeps between 4 to 6 months at room temperature. Does Black Garlic taste good? What can you do with Black Garlic? You can add it to a sauce. Rub it down on your fish. Flavor your broth with it. Add it to your dips for parties. Blend it with maple syrup and put in on your ice cream. If you want to add complex and sophisticated layers to your cooking, black garlic is for you. Add a little fine dining touch right in your kitchen. Perfect gift for the foodie or health nut in your life too! We have black garlic at Halter’s Farm Market in Pennsville, Salem County, NJ. 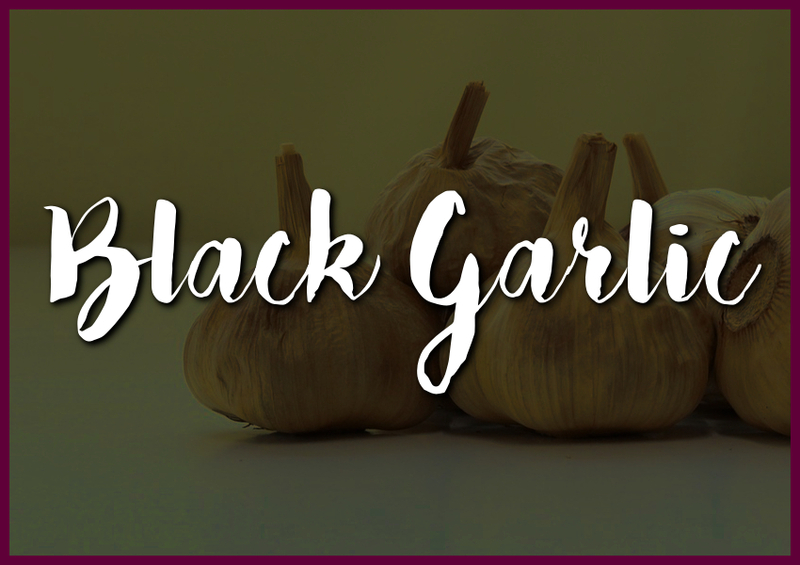 Have you used Black Garlic before? Do you want to? What have you used it for? Let us know in the comments or join the conversation on Facebook!